Fort Campbell, KY – Despite the dark clouds and rain, 32 Soldiers from the Fort Campbell Warrior Transition Battalion set-out on a two-day, 200-mile bike ride on post and in Southern Kentucky early Thursday, September 27th, 2018. 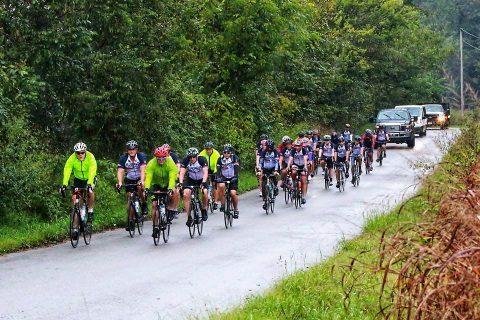 The dual century ride is a personally challenging and therapeutic bike ride for wounded, ill and injured Soldiers and veterans, organized by the WTB’s adaptive reconditioning program and volunteers. 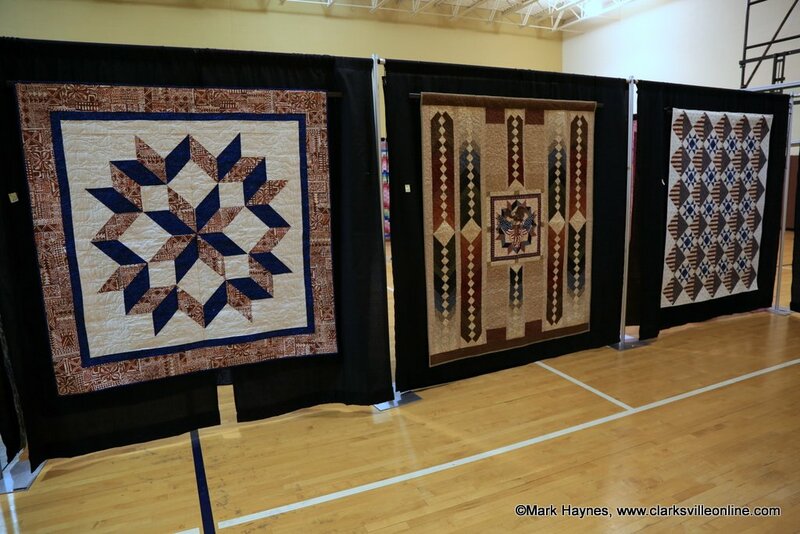 Clarksville, TN – Rivers and Spires Festival’s award winning Quilts of the Cumberland event begins Thursday, April 20th at the Madison Street United Methodist Church at 5:00pm. There will be quilts of different shapes and sizes on display to the public. 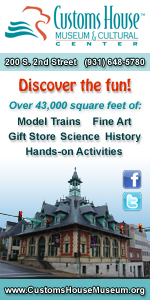 The quilts will be on display all three days of Rivers and Spires, April 20th through the April 22nd. This exhibit gives people the chance to view a variety of quilts from traditional to one of a kind art quilts by local artisans. Volunteers preparing the quilts for Clarksville’s Rivers and Spires Quilts of the Cumberland exhibit. 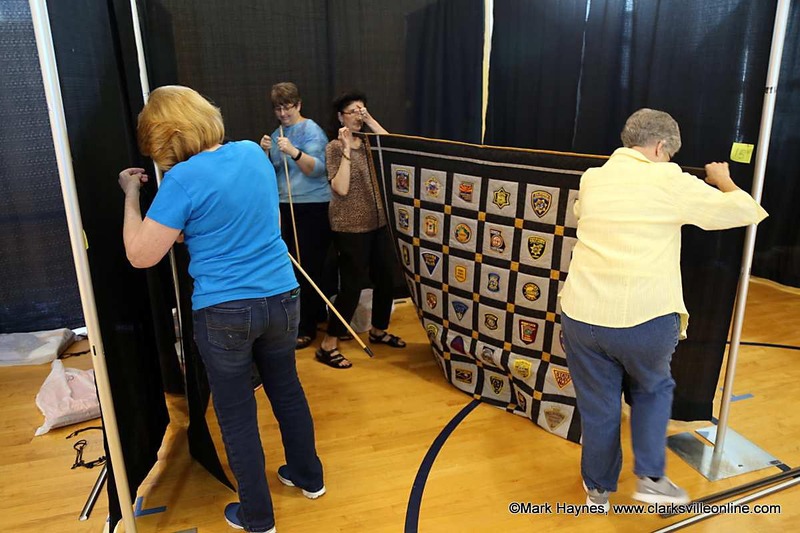 Clarksville, TN – On Thursday, April 14th, the Rivers and Spires Festival’s award winning Quilts of the Cumberland event will kick off at Madison Street United Methodist Church at 5:00pm. 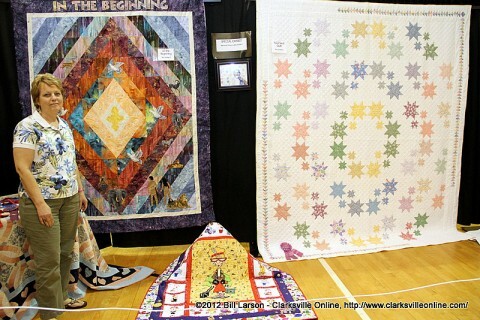 Quilts of all shapes and sizes will be on display. 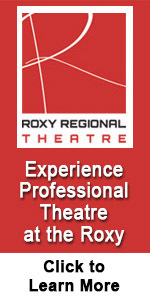 The exhibit will take place all three days of the festival, April 14th-16th. 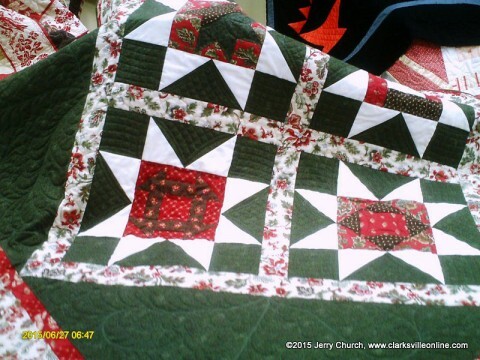 The show will display local artisans with a variety of quilts from traditional to one of a kind art quilts. Quilts of Valor on display at Rivers and Spires Quilts of the Cumberland Exhibit. 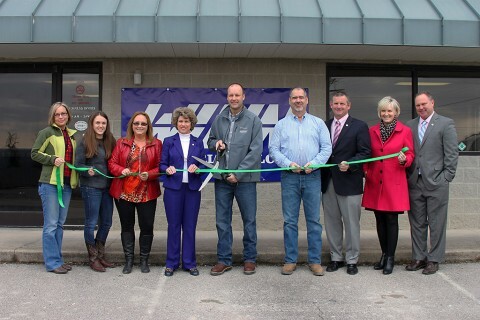 Montgomery County, TN – Winn Materials celebrated their Clarksville-Montgomery County Green Certification with a green ribbon cutting this week. 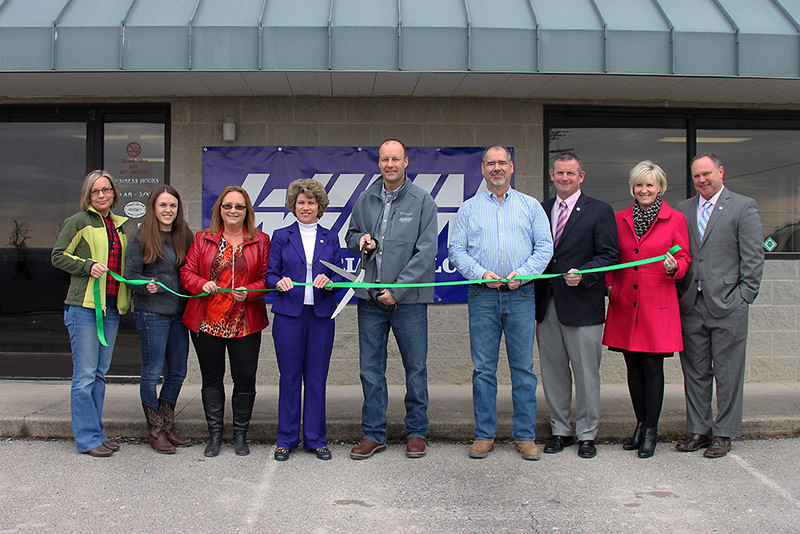 Montgomery County Mayor Jim Durrett, City of Clarksville Mayor Kim McMillan, and Chamber of Commerce Director Melinda Shepard were there to congratulate Winn Materials on earning their certification. Winn Materials Green Ribbon Cutting Ceremony. 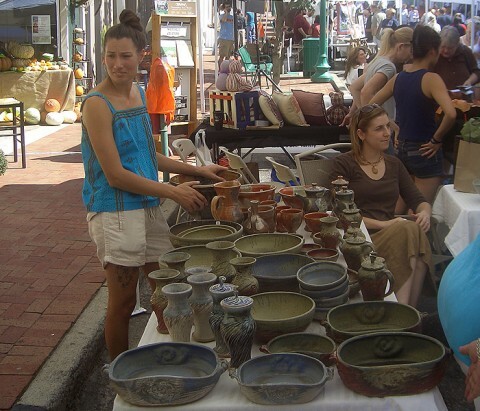 Guthrie, KY – The Guthrie Tourism Commission is announcing that it will join Trenton, Hopkinsville and cities stretching all the way to the Indiana state line in a massive yard sale this weekend, June 27th-28th. Billed as the Highway 41 Yard Sale, the organized event extends the length of U.S. Highway 41 in Kentucky, from Henderson in the north to Guthrie in the south, nearly 100 miles in length. In addition, it includes approximately 50 miles of Hwy. 41A in Henderson, Webster and Hopkins counties. For some yard sale enthusiasts, Guthrie will be the beginning. For others, it will be the end. 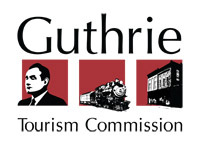 Guthrie, KY – The Guthrie Tourism Commission is announcing that it will join Trenton, Hopkinsville and cities stretching all the way to the Indiana state line in a massive yard sale, June 28th and 29th. Clarksville, TN – What do white gloves, fat quarters, a Civil War history lesson, blue ribbons and a tribute to an old friend all have in common? They are all part of this year’s Quilts of the Cumberland quilt show during Rivers and Spires here in Clarksville, Tennessee. Madison Street United Methodist Church has hosted the Quilts of the Cumberland Quilt Show since its beginning four years ago. The Quilt show itself is held in the Activities/gymnasium area behind the main Sanctuary with the entrance off Commerce Street. This year there were nearly 70 quilts exhibited, including a tribute to Bea Goddard, a local master quilter who passed away just 3 weeks ago. Bea’s family members were so gracious in lending some of her prize winning quilts as well as the quilt she was making for this year’s show, still in progress. On exhibit are also Bea’s many ribbons and awards. Bea will be missed by many in the quilting community. 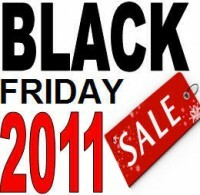 Trenton, KY – How do you avoid the hustle and bustle of Black Friday but still get some great bargains? Try shopping in a small town in Kentucky. There was only one shop open today in Trenton, but business was steady, and it does qualify as an independently owned small business; we were just a day early for Small Business Saturday, and we wanted to get some sale fabric –yes we REALLY did need more Christmas fabric. At least that’s my story, and I’m sticking to it. Clarksville, TN – Downtown Clarksville’s 6th annual celebration of the arts, “Frolic on Franklin” will take place Saturday, September 17th. Hosted by the Downtown Clarksville Association, the event will showcase the works of 30 local and regional artists along the 100 block of historic Franklin Street. A variety of original artwork and crafts will be on display including jewelry, pottery, water colors, woodwork, ceramics, glass items, photography and more. Items will be for sale with prices ranging from $2.00 – $2,000. Several artists will also provide demonstrations of their work throughout the day including painting and decorating glass ornaments, making wooden items with lathes, and various types of painting.